Boost Mobile is bringing back its iPhone XR deal that was available during Black Friday, so if you've missed the offer last month, you have one more chance to take advantage of it. Unlike other deals that require trade-in or long-term contract, Boost Mobile's promotional offer requires neither. If you don't know, Apple sells the iPhone XR for prices starting a $750 outright. Of course, you can get the phone cheaper if you trade-in another iPhone model, but if you don't have one, Boost Mobile's deal is a decent alternative. 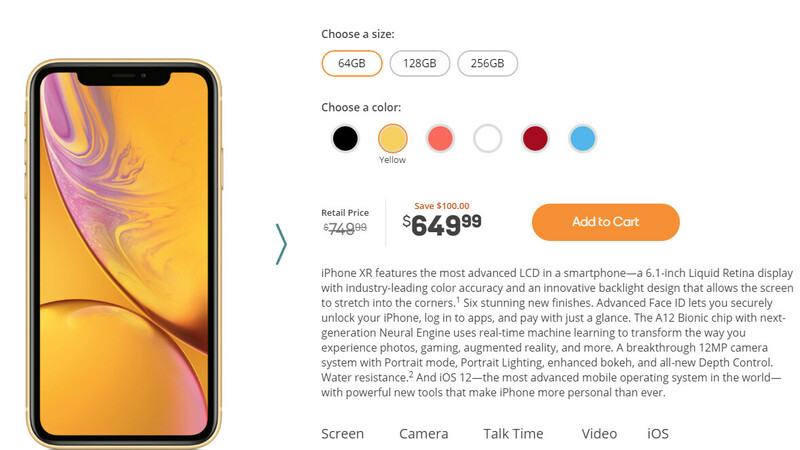 Starting today, Boost Mobile has the iPhone XR on sale for $650, exactly $100 than Apple's catalog price. The price is for the 64GB model, but the 128GB and 256GB variants are on sale as well, so you can get either one for $100 less. There are no strings attached to the deal, so you can order the iPhone XR and when it arrives, you can pick a plan and activate it online. Keep in mind that there's a one phone per customer limit and that the price doesn't include taxes. Will it ship in unlocked version or is it mandatory to use BOOST services ?